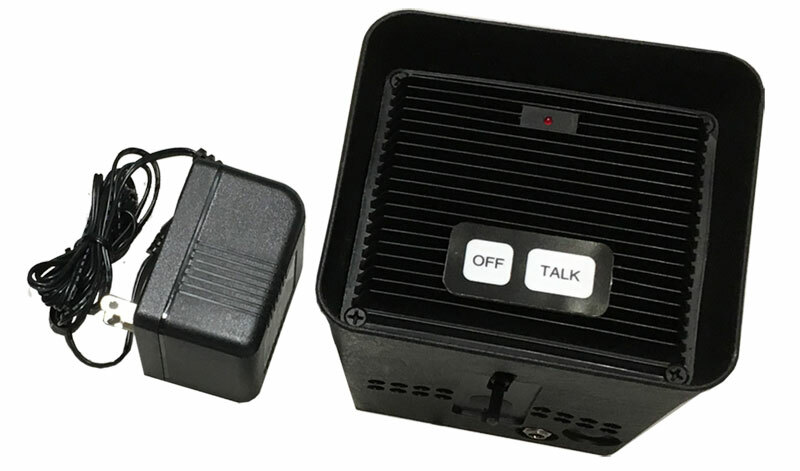 The Marsh Products Alpha Series Single-Channel Voice Communication Base Station features presence alert/announcement with hands-free operation: An arrival at the remote location is announced by an LED at the master station and a repetitive beep tone. Depending upon the type of presence detection used, the audio may be programmed to turn off and on automatically or manually. This product includes a transformer to power the station. All Marsh products are backed by a worldwide service network of more than 400 authorized agents who provide fast, reliable, low-cost installation and service. Replacement parts are available through your local dealer, service agent or directly from Marsh Products. The Alpha Series Single-Channel Voice Communication Base Station carries a one-year factory warranty on parts when the system installation has been performed or inspected by an authorized Marsh service agent. Also available: Complete system, with base station, remote speaker, 100 feet of cable and power supply. For one year after you purchase a Marsh Products Alpha Series Single-Channel Voice Communication Base Station, we will repair or replace (at our discretion) any malfunctioning hardware. The purchaser pays only the shipping to return the malfunctioning part to us. The warranty is void if the product is returned in a damaged state for any reason, including damage that occurs because of a failure to follow installation instructions.